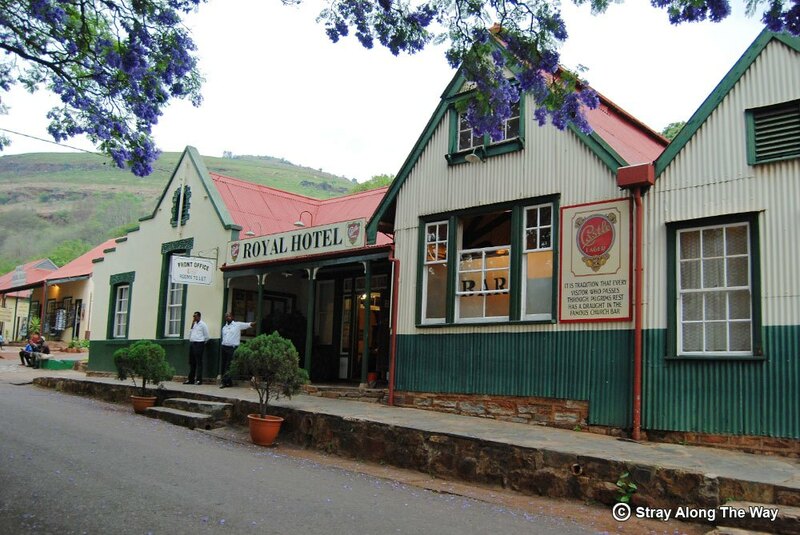 Tucked away in a valley below the breathtaking Witteberg mountain range is a town called Lady Grey. This area is rich in sandstone, fossil beds and rock or San art. 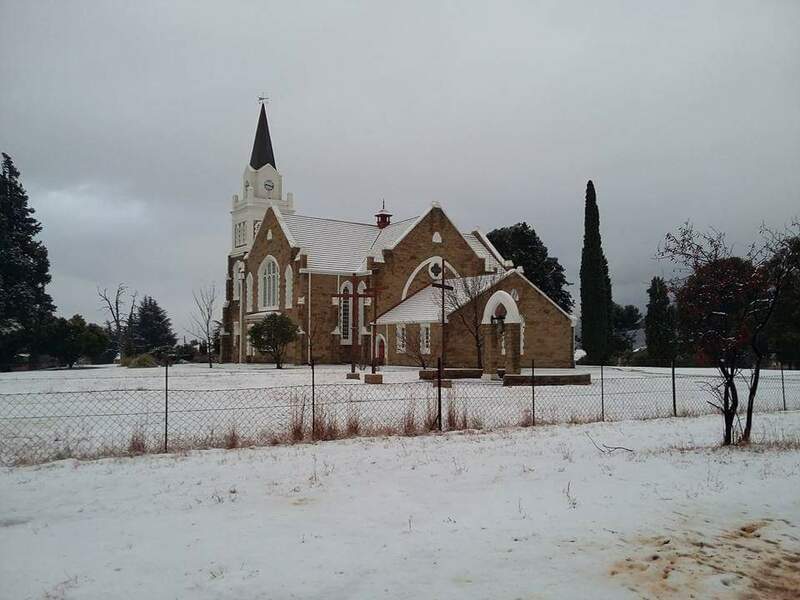 In the town is a Dutch Reformed Church which was built in 1913. Today this beautiful sandstone building is a national monument. In 1925 a Mr Stromsoe of Cape Town built the Lady Grey Dam. Its wall is 25 metres high and visitors can walk up a natural staircase to the top of the dam wall or even go for a swim in the rock pool below the dam. Lady Grey was named after Cape governor Sir George Grey’s wife, Lady Eliza Spencer. Registered tour guides offer historic and botanical tours around town. The Cape Vulture Sanctuary in the Karnmelkspruit Gorge is well worth a visit, as you can get an eye-level view of this magnificent endangered species. This area has some of the best fly-fishing waters in the country with crystal clear streams and breathtaking scenery. Although fishing is catch and release only, you can catch yellow fish and trout in these waters. All activities in the area will be by prior arrangement with the relevant people. The area offers many lovely hikes. There are also camping sites on the Karnmelkspruit River and in town for keen caravan enthusiasts. Lady Grey hosts a few artists and The Arts Academy produces young professionals in drama, dance, music and singing. The Altec Choir has live performances throughout the year. Exhibitions are held regularly. Apart from the church and the museum, other historical places include the Powder Magazine, historic buildings and the cemetery with graves of soldiers from the Anglo-Boer War. The Witteberg Skywalk is regarded as rigorous. You will not only have to be fit but an adventurous backpacker as the route follows the edge of the Witteberg mountains between Lady Grey and Rhodes. There are no fixed overnight huts or places to stop. It is somewhat of a wilderness hike that entails carrying a tent and stopping where it suits you best. In exchange for a little discomfort and carrying extra weight, you will experience incredible mountain scenery that includes peaks like Balloch, Snowdon and Ben Macdhui. Accommodation in town varies from backpackers to four-star accommodation. Accommodation in the countryside varies from lodges, camping sites, game farms and self-catering establishments of high quality. There are a number of restaurants and coffee shops in town. A padstal on the R58 towards Barkly East provides the traveller with home-made goodies from the area. With more and more day- and overnight-trails opening every week, hiking is rapidly becoming one of Mpumalanga’s major drawcards for visitors. There are literally hundreds of spectacular hiking trails on offer, lasting anything from several hours to several days. Examples include day hikes at Mpumalanga Tourism and Parks Agency (MTPA) sites, such as the Belvedere Day Hike from Bourke’s Luck. This full-day trail takes in some hefty gradients and leads down to the Dientjie Falls in the foot of the Blyde River Canyon, where buck abound, baboon calls echo and eagles and ibises soar overhead. The Bourke’s Luck area also offers a number of other day trails and a 30-kilometre three-day overnight trail. All are self-guided. Another option is the newly-reinvented Jock of the Bushveld Day Hike, running along the edge of the escarpment, taking in Paradise Camp from the book Jock of the Bushveld and offering great grassland bird sightings along the banks of the many streams. It even has its own geocache site. Sabie offers the popular Bridal Veil hike, a gentle wander along the Sabi River to this popular waterful, with some challenging detours for the more adventurous, and the walk to the Forest Falls. Known for being the only falls in Mpumalanga to be wider than they are high. Hazyview offers the popular Matumi Trail, a shady wander along the Mac Mac River, from its confluence with the Sabaan and Sabi Rivers. Cool off in the forest, chase butterflies and find a rare Narina Trogon or a red duiker among the manifold matumi trees. Situated in the Nelshoogte Forest Reserve between Barberton and eManzana (Badplaas), the Queen Rose Trail is arguably one of the most scenic hiking trails in South Africa. 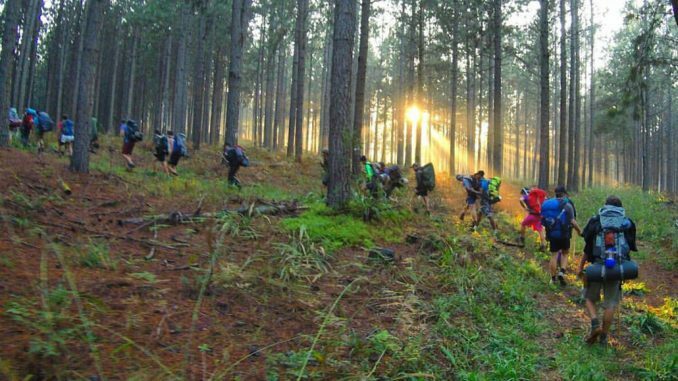 The two-day, 26km hike takes adventurers through indigenous forest, over mountain passes, through the Montrose timber plantation and along the Queens River. Spectacular scenery and rich in wildlife, including over 350 bird species. The hike includes 20 river crossings, some with suspension bridges to keep boots and kit dry, as well as several natural pools where hikers can take a break and cool down. Alternatively, the Num-Num Hiking Trail is a self-guided 3-5 day hiking trail situated between eManzana (Badplaas) and eNtokozweni (Machadodorp), in the Skurweberg Mountains, Mpumalanga. This trail has been rated by Green Flag as moderate-to-difficult, meaning hikers have to be of reasonable fitness and agility. Along the route, hikers may encounter suspension bridges, ladders and steep up- and down-hills to get into stunning gorges. 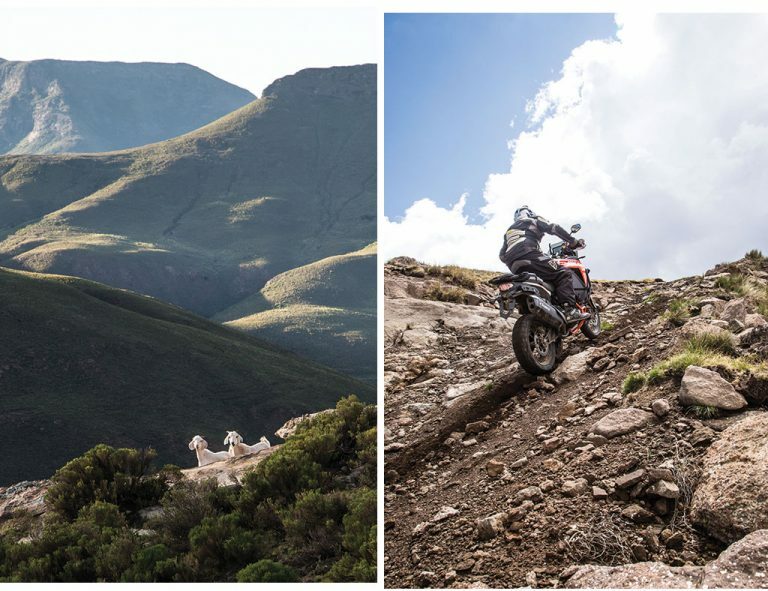 The route winds through a spectacular variety of Highveld Escarpment terrains including indigenous forests, sandstone mazes, ancient grasslands, waterfalls and panoramic views of the Komati River Gorge. Overnight accommodation is in five unique and comfortable camps that have equipped kitchens and hot showers. 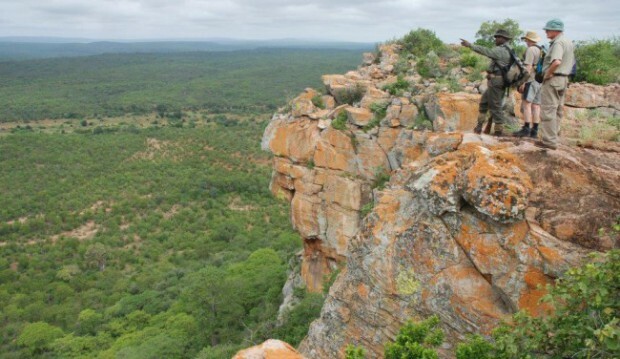 The Kruger National Park offers numerous trails with possibly the most exciting being the opportunity to backpack the length of the park in a rigorous hike broken up into 100-kilometre sections. The SANParks Honorary Rangers are offering this as a chance to ‘Follow in the Footsteps of the Giants’. 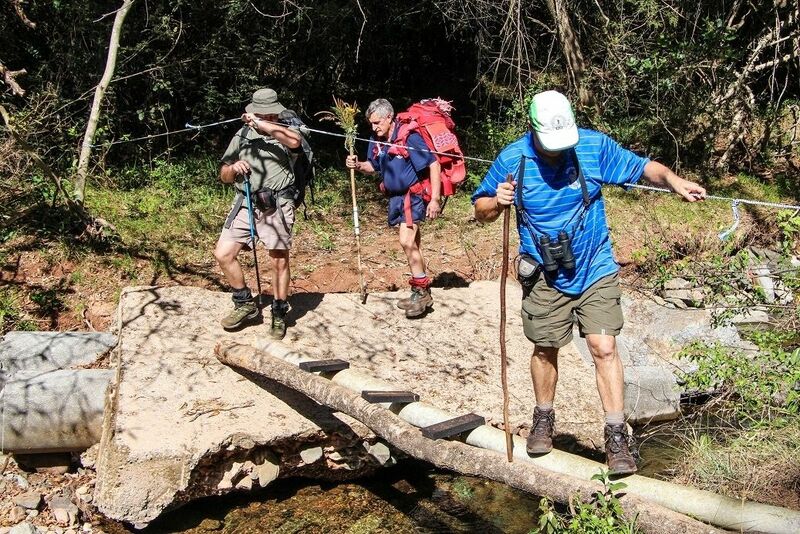 As a further indication of the increasing popularity of hiking in the province, passionate hiker Kevin Ruthven’s has also founded Lowveld Hikers. 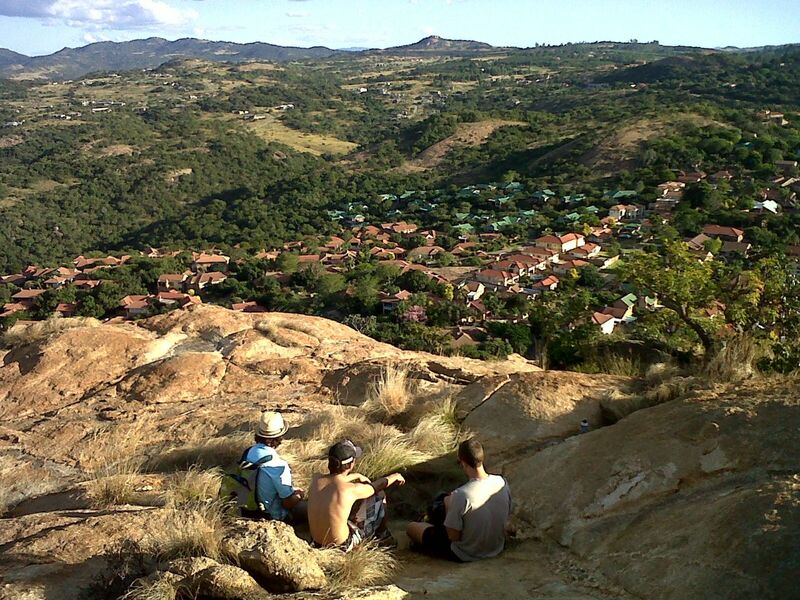 This innovative institution is more of a hiking club than an established hiking trail, whereby Kevin manages to find obscure trails and walks, predominantly along the Mpumalanga escarpment but sometimes further afield, and invites members (and visitors) to join him in appreciating the natural beauty that the region has to offer. He has access to properties that very few could obtain permission to hike without him. At least two hikes are organised every month. Check the events calendar on the Facebook page for forthcoming hikes. 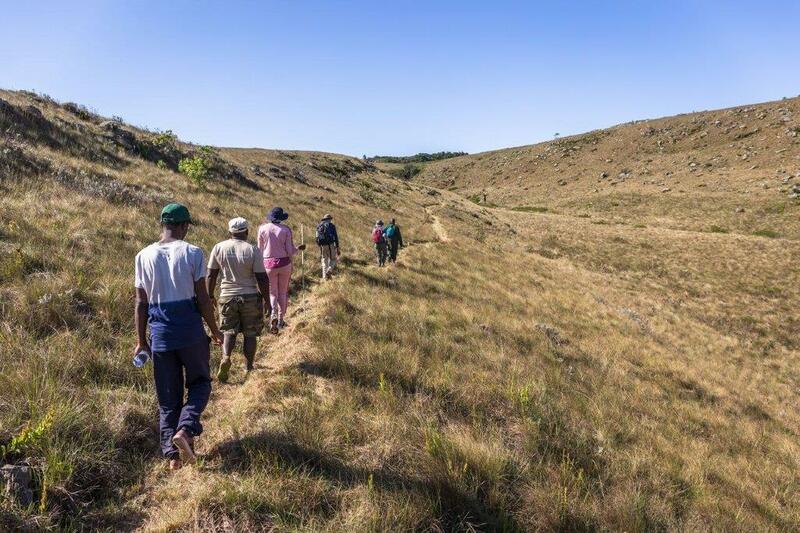 The Mpumalanga Highveld also offers a broad range of challenging walks, including the Ama Poot-Poot trail near Dullstroom with both day-trail and overnight options and taking in lovely views, ravines and mountain streams. Nearer Middelburg, day routes include the Slagthoek Trails, with longer options following the Olifants River Gorge, through open grassland, up steep climbs and down wooded gorges. With more and more trails opening every day and with the launch last week of the first phase of The Marula Route, a cultural trail running through the rural communities along the western border of the Kruger National Park between the Paul Kruger and Orpen gates, Mpumalanga is definitely the space to watch for hikers. Being based in Mpumalanga means being surrounded by a vast number of must-see destinations, like the Kruger National Park, Malolotja Nature Reserve and Mlilwane Wildlife Sanctuary in Swaziland, the abounding Mozambican beaches and even the Maloti Drakensberg Park. With such abundant wildlife and pristine nature all around us, it’s not at all hard to find a hiking trail, secluded beach or invigorating waterfall a few hours in any direction, but we’ve found little sanctuaries mere minutes from home. 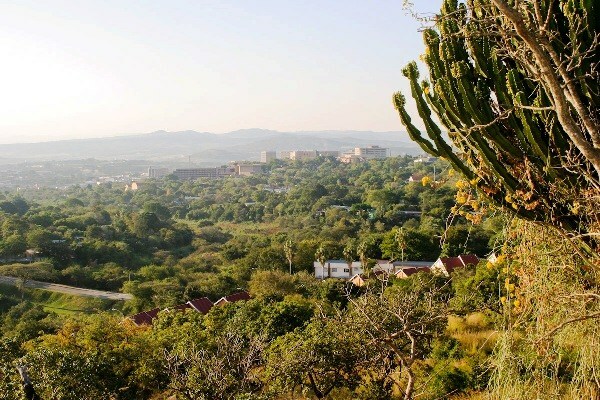 Mbombela is considered a city, but the streets meander through an endless number of treetops and fortunately, unlike most urban jungles, there’s more greenery than concrete. Not only does it have a magical botanical garden with its very own rainforest, it also has two sizeable nature reserves! One of them has a few hiking trails that take you over a tranquil little river, down a granite boulder and through mossy paths covered with mighty tree roots. If you follow one of these tracks, they lead to more openness and typical Lowveld fauna. The trick is knowing which way to go when you reach a fork because most of the trails lead back to the beginning, but one of them goes past a mighty boulder. You will likely not consider climbing it at first, but the best view awaits at the top! After quite a climb, you will reach a more level trail that leads to some tall grass and thorn trees. The first time you wander on this path, you might doubt yourself as it isn’t marked out, but it carries on until you reach another large boulder… This is the one. 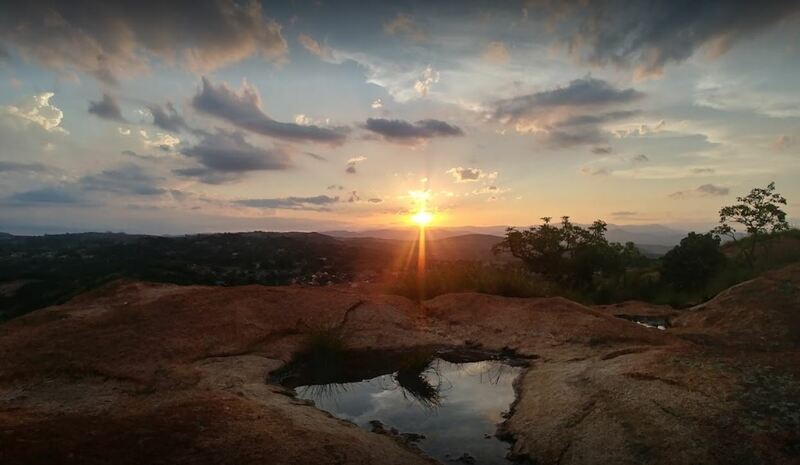 When you have braved this path and made it to the top of the granite beast, the 360-degree view of Mbombela and all the mountains that surround it will astound you. Late afternoons offer the most incredible view of the setting sun and all the colours that light up the sky but be sure to make your way back down soon as this trail is not recommended at night. Sitting up there surrounded by all the majesty of nature, letting your sight stretch as far as you can, will make you feel victorious, yet minuscule at the same time. It almost reopens your eyes to all the beauty that you might not notice every day, and if you listen closely to the warm wind that comes from miles away, you will feel re-energised, ready to take on another day at the office. YGo Adventures is aimed at helping people rediscover ways to explore and experience the joy nature provides. We believe you shouldn’t have to venture far to find beauty, but if you do, you should do it in style. Our tours can be tailor-made to make your travel dreams come true. Guided or not, we will put together itineraries that will take you places that give the words “dream holiday” a whole new meaning. Contact us directly for more info, and look out for our next edition where more hidden treasures of Mpumalanga will be revealed. Finally, December has arrived. Now you can wind down and spend some quality time with your family. The Lowveld offers a wide range of activities to keep the kids busy and we guarantee you will end up looking back on many memorable moments after a visit to one of these hotspots. A visit to Hazyview and surrounds is essential for a family looking for adventure and fun. Other than the various types of accommodation and family-friendly restaurants found in town, there are many activities on offer for all ages. 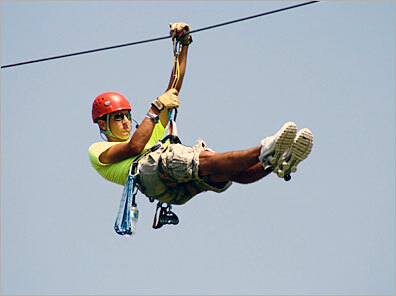 Make a booking at Induna Adventures for anything from zip lining to quad biking or white-water rafting. Get elevated to the treetops on Africa’s longest aerial cableway with Skyway Trails. Interact with mighty African elephants at Elephant Whispers or at the Elephant Sanctuary, or embark on a horse safari at Horse Whispers. Visit Monkeybirds to see 120 exotic monkey species and over 50 pairs of exquisite birds, do a Segway tour through tropical fruit orchards or view an extensive collection of reptiles at Perry’s Bridge Reptile Park. With its waterfalls and wildlife, the Lowveld National Botanical Garden is a subtropical paradise for kids and adults alike. The garden is shaped by the Crocodile and Nels rivers that cut across it to form spectacular waterfalls which can be viewed at the Cascades and the Nels viewpoints. 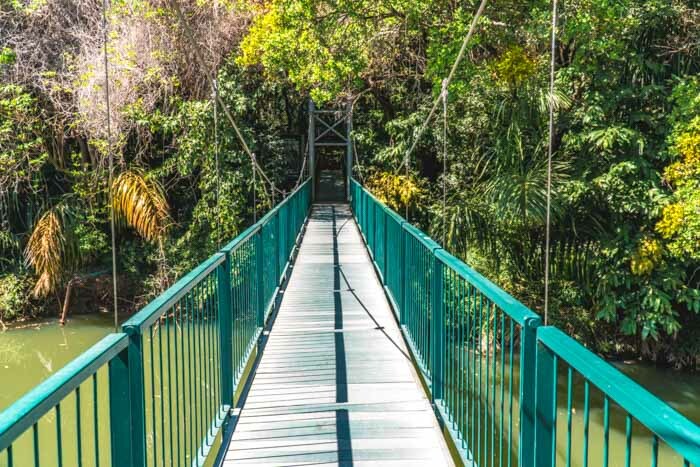 Children will really enjoy walking through the enchanting African rainforest and across the famous suspended bridge, where the cascading waterfall can also be viewed. They will also enjoy one of the largest collections of South African fig trees and the mystical baobab tree. Other highlights include the useful plants project, children’s play area, dry bushveld area, the riverside trail, canals, SA Forest, cascade viewpoint, Sappi Aerial Boardwalk and Nursery, as well as the resident wildlife and wonderful biodiversity. 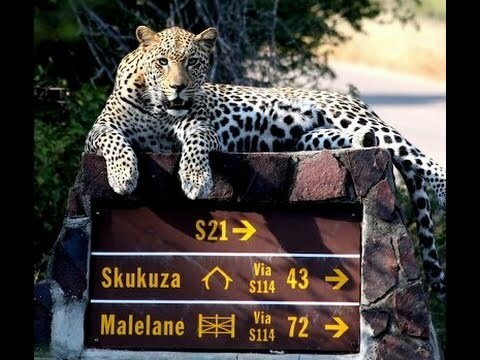 Whether you are staying in the Kruger National Park or not, a visit to Skukuza is a must. Although part of getting close to the Big 5 entails a full day in the car, you can get a break from the midday heat by spending the bulk of your day at the rest camp and visitors’ centre. 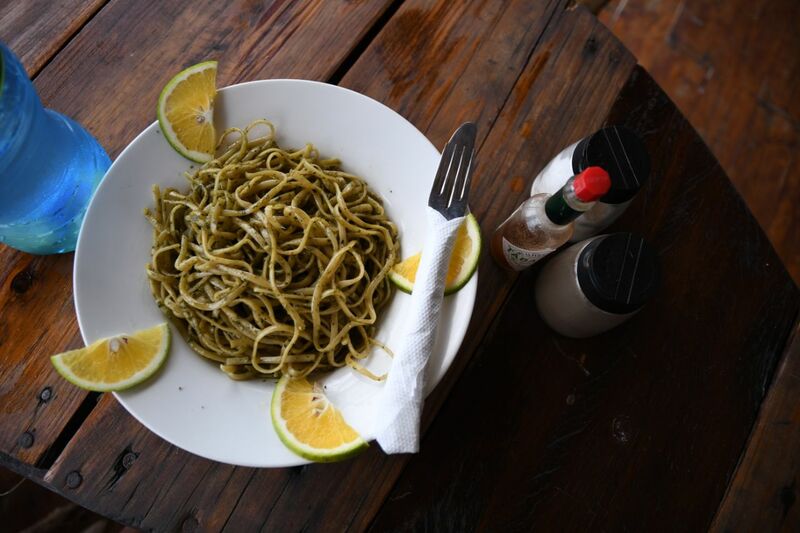 Skukuza offers family-friendly restaurants and loads of things to do. Just sitting alongside the Sabie River provides a wonderful game-viewing opportunity. If things really start heating up, make your way down to the day visitors’ precinct where a splash in the pool and an ice cold ice cream will go a long way towards cooling you off. Visit the Stevenson-Hamilton Knowledge Resource Centre Museum and get to know the history of the Kruger National Park’s most famous warden or take a quick drive to the Skukuza Indigenous Nursery and buy a plant or two for your garden at home. Enjoy an excursion into the depths of the earth. This system of caves dates back 3 000 million years to a time when extraordinary stresses cracked the dolomite of the Mankelekele Mountains, allowing water to slowly trickle through and forming a series of passages through the rocks. As a result, the Sudwala Caves, thought to be the oldest in the world, were formed – a series of many chambers revealing giant stalagmites, stalactites, flowstone formations and dominated by a circular chamber – the amphitheatre. For the more adventurous, there is the crystal tour, which involves a journey of 2 000 metres into the bowels of the caves. 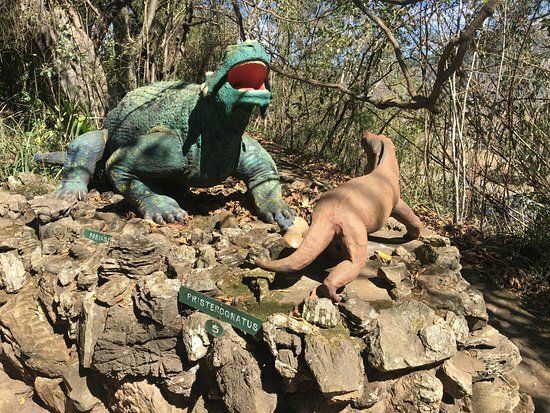 The Dinosaur Park displays life-sized models of prehistoric animals, ranging from amphibious and ancient reptiles, dinosaurs, prehistoric mammals, prehistoric man and more. Nestled at the foot of the Ndlumudlumu Mountains between Machadodorp/eNtokozweni and Carolina, is Badplaas/eManzana, which is known as a resort town. 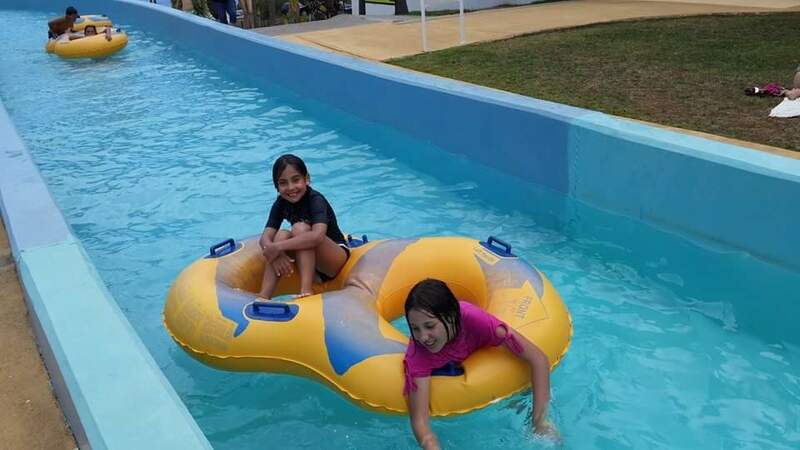 Badplaas, A Forever Resort has become legendary for family leisure breaks and is a firm favourite among kids. It’s a treasure chest of entertainment from heated and cold mineral pools to an entertainment team that keeps the youngsters occupied. There are also game drives, horse trails, paintball, a hiking trail along the canals, a waterfall and so much more. At The Cradle of Life, kids can visit the animal farm and see a variety of animals like pigs, ducks, geese, tortoises and chickens. They can also go fishing or spend some time at the playground next to the restaurant. 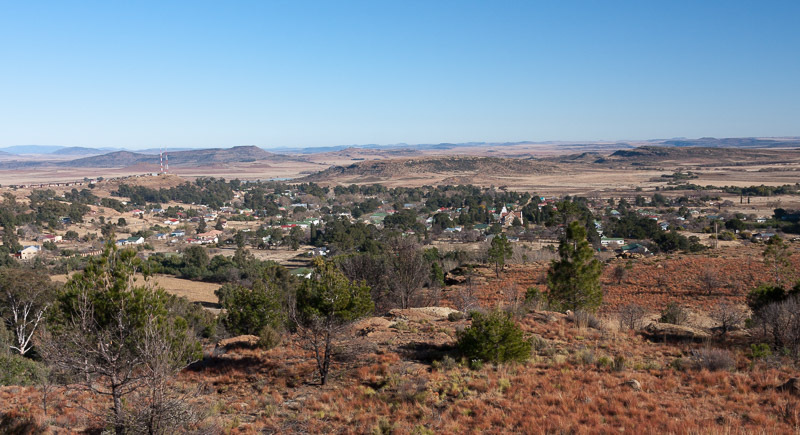 The town of Hoedspruit has grown from a small village serving the agricultural industry to a popular wildlife tourism destination ideal for families. The Hoedspruit Endangered Species Centre breeds endangered species for release and cares for injured and orphaned wild animals. Regular tours enable visitors to see some of the animals up close. 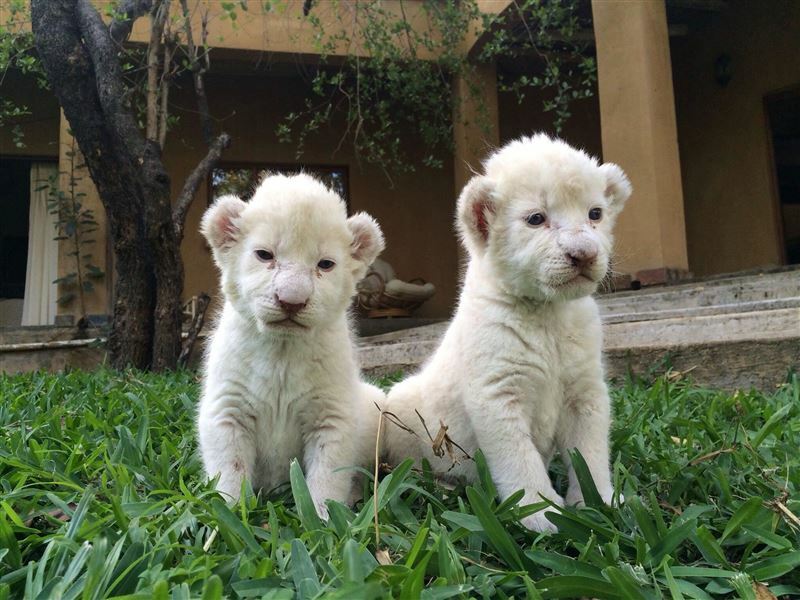 A visit to Lion Tree Top Lodge to meet some white lions is a must when exploring Hoedspruit. At the Moholoholo Animal Rehabilitation Centre the public can interact with animals that have no chance of being released into the wild due to their injuries or habituation. Khamai Reptile Park is the best place to go to learn more about spiders and reptiles or to help you overcome your fears. Exploring South African history as a family is a rewarding experience and there is no better place to do this than Pilgrim’s Rest, one of South Africa’s most loved heritage sites. 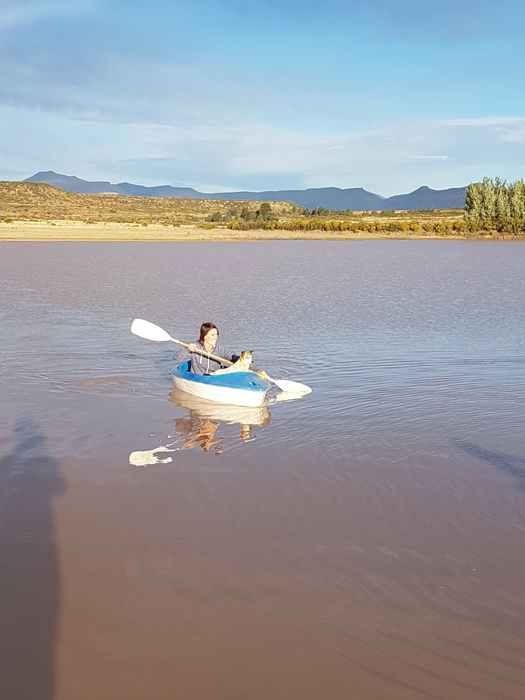 For the outdoorsy types, there is fly fishing on the Blyde River, golf at the nine-hole course and, of course, a visit to the diggings and a spot of gold panning. The town has seven museums that are open daily and offer insight into the history of the town. There are several accommodation establishments catering for most budgets as well as cafes and restaurants that offer something for all palates. Fun activities also include a visit to Kuzzulo’s Emporium – a place where visitors can get dressed up in period costumes and have old-fashioned photos taken. This is a favourite among the youngsters! The attractive hillside town of Sabie is a Lowveld gem. 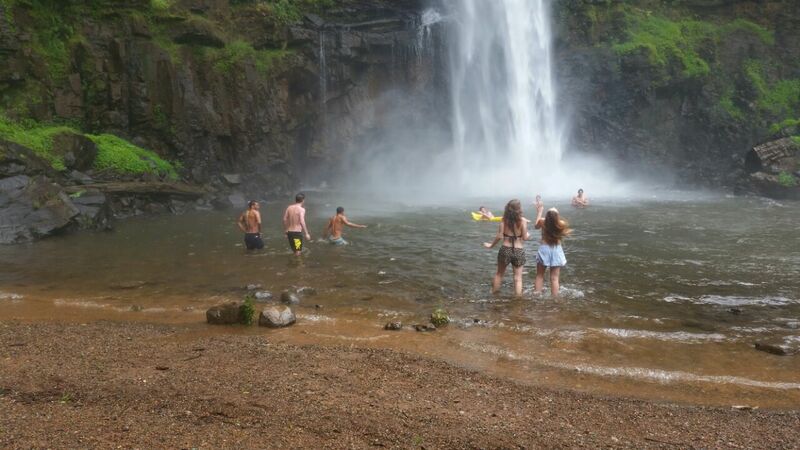 At the source of the Sabie River, lies under the impressive Spitskop and Mauchsberg mountains and Mount Anderson and has always been a popular place for South Africans looking for a family-friendly holiday. The town owes its formal founding to the discovery of gold in 1871. Its restored settler buildings, numerous high-quality restaurants, friendly bars and coffee shops along with the surrounding tranquil forests, exhilarating activities and scenic views continue to make it one of the best options for a peaceful retreat. Have a round of golf at the Sabie Country Club, explore the South African Forestry Company Forestry Industry Museum, go tubing down the Sabie River or take a mountain bike ride with the family. 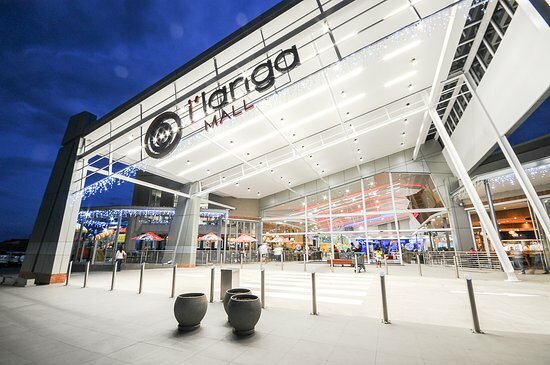 Ideally situated on the main road to the N4, i’langa Mall is a hub of entertainment for kids, shopping for parents and fun for the whole family – from the ice rink to Ster Kinekor cinema. Inside the mall there’s fantastic fun to be had at The Fun Company, enjoy a game of tenpin bowling and a jump around the trampoline park. You can also head over to the arcade games to hit, shoot and jump your way into the top scores. For those looking for a more relaxed experience, there are loads of restaurants in the entertainment area that offer various options. 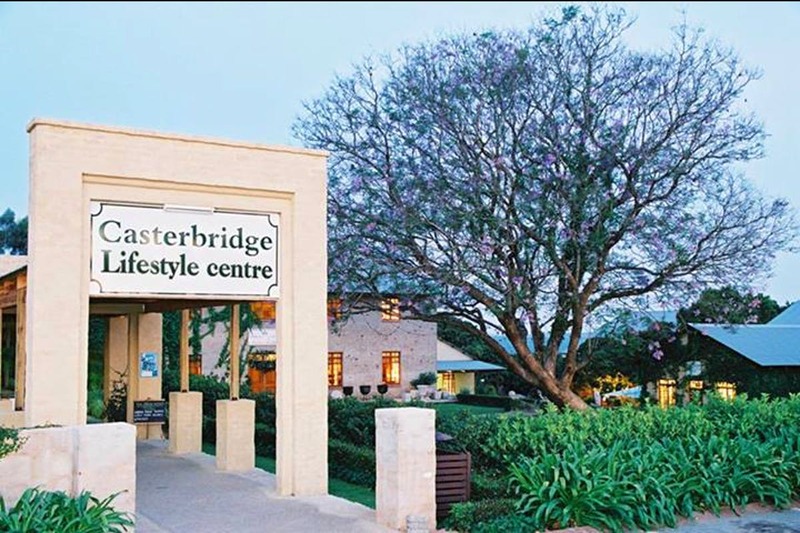 Experience the tranquillity of the Lowveld at the Casterbridge Lifestyle Centre, set on the original Casterbridge Farm. 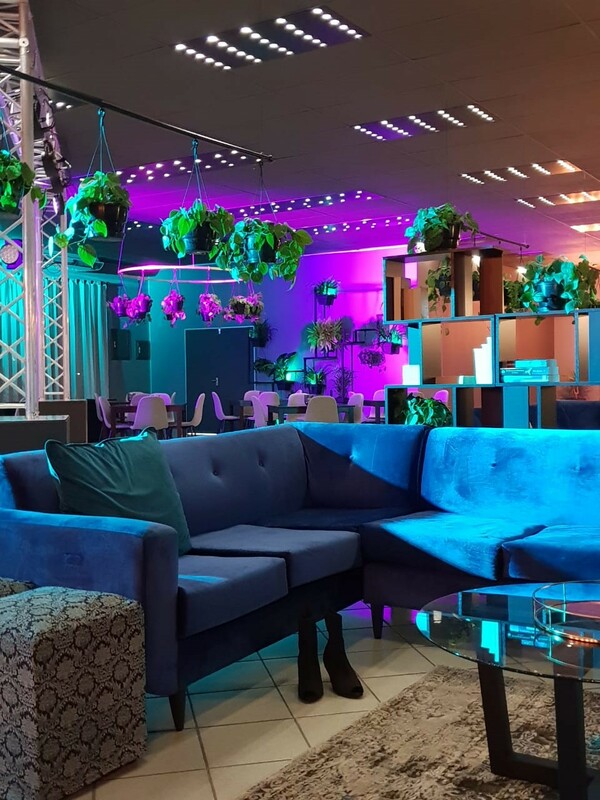 Located on the R40 just outside White River towards Hazyview, the centre offers parents the ideal venue to let their kids unwind after a busy day. 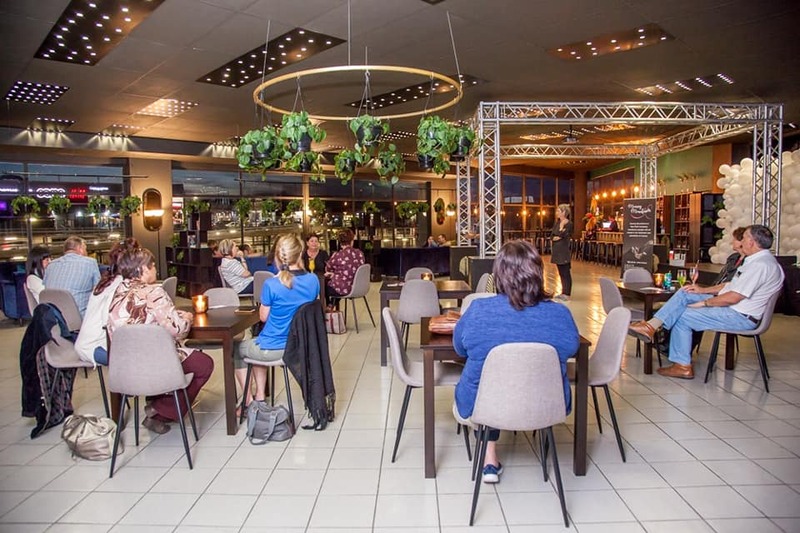 There’s nothing better than grabbing some popcorn and catching a good movie at the Casterbridge Cinema or enjoying a show at the barnyard-style Casterbridge Theatre. The centre also boasts the motor museum, which is home to a large collection of immaculately restored vintage cars and bikes. There’s also a variety of shops, art galleries and restaurants ready to tantalise your taste buds. A must-see when travelling through Mbombela towards Barberton is the only chimpanzee sanctuary in South Africa, Chimp Eden. Offering three tours daily (10 am, 12 pm and 2 pm), there is no reason to miss this experience and educational opportunity. After your tour through the sanctuary and meeting some of their famous residents, have a look around the curio shop and enjoy a light meal and a refreshing drink at the restaurant. Situated on the main road to White River, Riverside Mall offers a range of entertainment for kids, from the Mafunyane Riverside Water Park – which features seven, rip-roaring super slides, a sparkling pool and a lazy river specifically designed for the young ones – to the Riverside Go Kart Park – with Honda engines which range in size from 50cc to 200cc. Inside the mall the Magic Company offers exactly that – a magical experience of fun for the kids. Don’t be surprised if the smell of popcorn lures you to Movies @ Emnotweni, which is right next to the Magic Company. Here you can enjoy all the latest blockbuster films on the big screen. The old saying of “been there, done that” in no way applies to this tropical paradise. If you thought going to Zanzibar is similar to a visit to Mozambique, it is time to get rid of your old sunnies. The azure sea and sky will have you doubting the quality of your Ray-Ban’s polarizing lenses. This becomes evident as soon as the aeroplane swoops down over the edge of the island to land at Zanzibar’s quaint airport. Off the east coast of Africa the deepest blues of the Indian Ocean give way to the turquoise waters and white beaches of this island. The attraction of the beaches will keep you mesmerised. 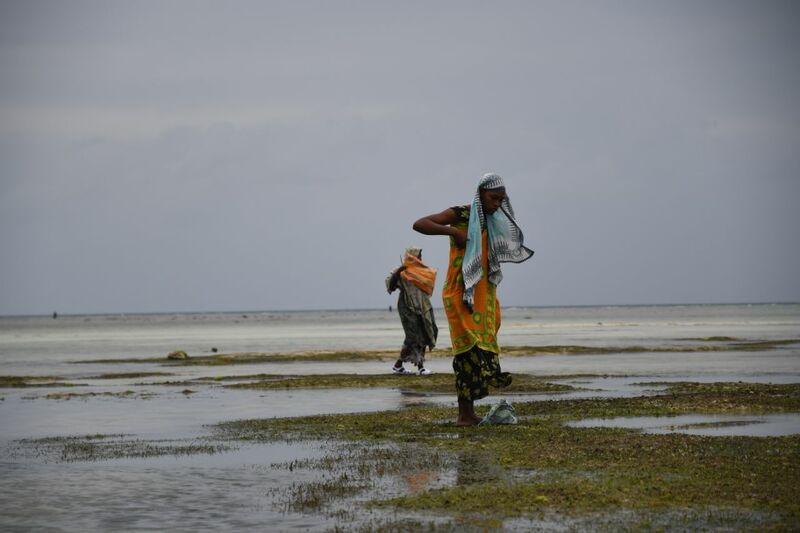 Zanzibar is a photographer’s paradise, especially with the spectacular sunsets and the colourful fashion of the female residents. A word of advice though – the locals, especially the women are camera-shy. It is advisable to respect their traditions and refusal to being photographed as the population is traditionally Islamic. We ventured north and settled in Nungwi. The village is known for its tourist shops and busy beaches. 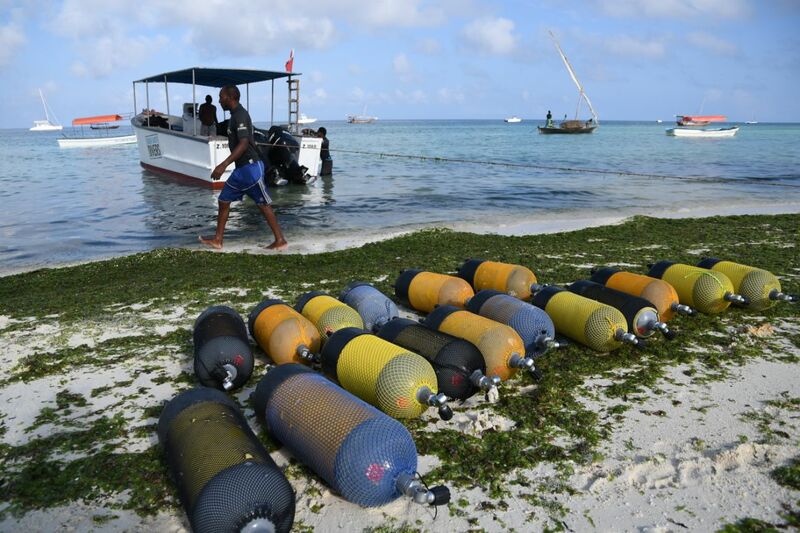 It is also the base for countless scuba-diving operations and if this is your priority, you will find at least seven professional operations within a three-kilometre amble along the beach. Best is to take along a snorkel set including fins. The tranquil and clear blue ocean is an underwater photographer’s dream. With dive sites around Mnemba Atoll and the lush coral mounds off Tumbatu Island, divers have a multitude of options to explore to their heart’s content. After a full day of traversing the underwater world, you will have quite an appetite. Zanzibar is known for its abundance of spices and seafood – all the more reason to take yourself on a sensory tour by savouring the local cuisine. The bounty of fresh seafood such as kingfish, tuna, prawns and octopus, to name but a few, can be enjoyed by trying the various curry dishes on offer. Traditional breakfast is substituted with freshly cut, succulent fruits…. From the everyday bananas, tropical pineapples to the exotic jackfruit and carambola, or more commonly known as star fruit. Be adventurous, find the locals’ favourite food hangout and ask for a Zanzibar pizza. This uniquely Zanzibari snack makes for a filling breakfast. Remember to stay hydrated, drinking enough water is essential. But who can deny a long cold cocktail at the end of a hot day on the beach? Settle down at a rooftop bar that overlooks the wide-open ocean and watch the sunset while sipping on your favourite island drink or ice cold beer. The spice island offers much more than idyllic beaches and excellent cuisine. Explore the vibrant cultures and history of Zanzibar up close when you wander through Stone Town. The maze of alleys and narrow streets seem to have no specific order and you might end up going around in circles. With an abundance of hip cafes and coffee shops, you will find yourself admiring the rare carved ancient doors and energetic daily life. From the local artist exhibiting his creations on his doorstep to the more trendy crafted jewellery, fashion designers and curio shops, one is bound to find gifts for friends and family back home. If you like the hustle and bustle of shopping take the time to walk through the world-renowned Darajani Market. Taste the sticky dates and chetti then take a break and have a hearty meal at Lukmaan restaurant around the baobab tree. 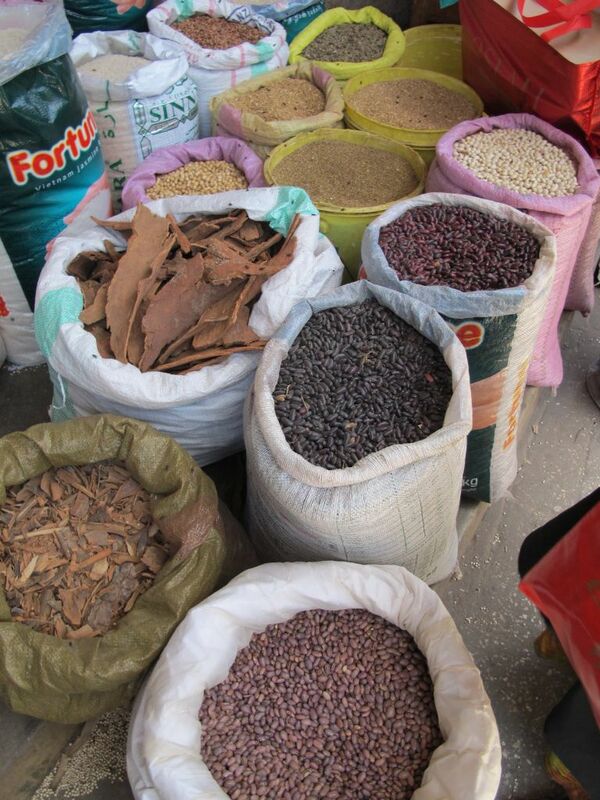 Once you have had your fill of the sights and sounds in Stone Town head to one of the various spice farms along the road between Nungwi and the capital city. Witness first-hand the harvesting of spices such as cloves, cinnamon bark, star anise and vanilla pods when in season. The allure of Zanzibar is its mix of blissful beaches, flavoursome food, lively culture and rich history. 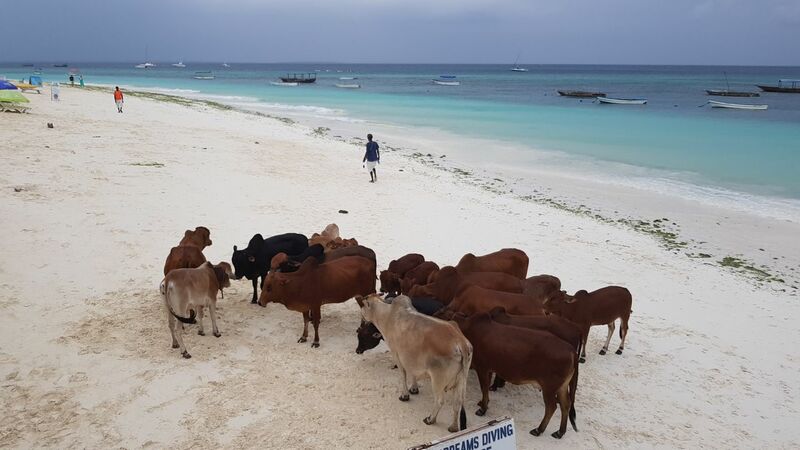 Add to this the rush of adventure when doing island hopping from Zanzibar to Mafia and Pemba islands by making use of the local airlines and you’ve had a taste of tropical paradise. The booking for your inter-island flights can be done online and in general, is slightly cheaper than doing it when on the ground in Stonetown or Nungwi. Using your Visa or Mastercard here will incur excess fees and these payments are loaded with a 4 – 6% surcharge or handling fee. Take into account that you will also have to fork out the banking and exchange fees when using your plastic to pay for food services and or gift. 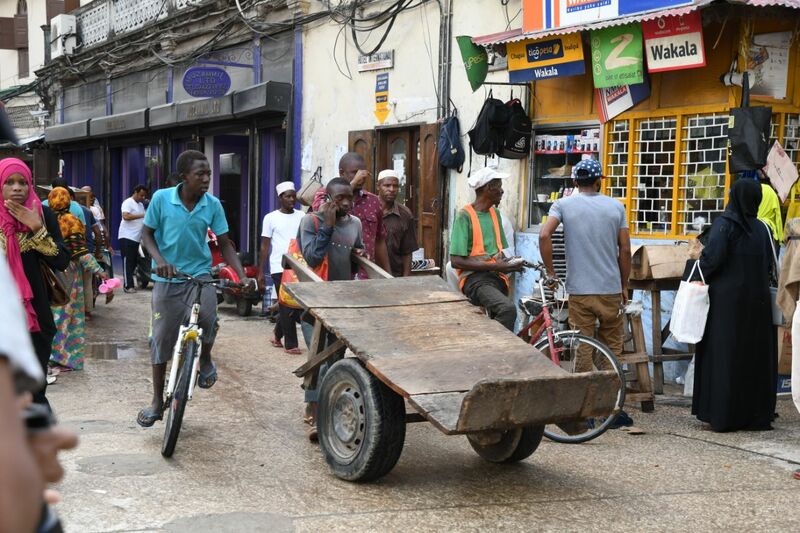 ATM services are available in Stonetown. During a recent conversation with a friend about travelling, we discussed all the places we had been and where we would still like to go. To my surprise, he had never been to Swaziland before, which was very odd for someone who had travelled the world. With the help of an experienced tour guide, we planned a four-day guided tour to Swaziland for our readers who, like my friend, have never been to this wondrous country before. Highlights: Mlilwane Wildlife Sanctuary, Hlane National Park, Swazi Candles, Ngwenya Glass, Swazi Cultural Village and Swazi dancing. Leaving Johannesburg early morning, we made our way down to the KNP for the night. Once in the park, our guide made sure that we were ready for our sunset game drive. 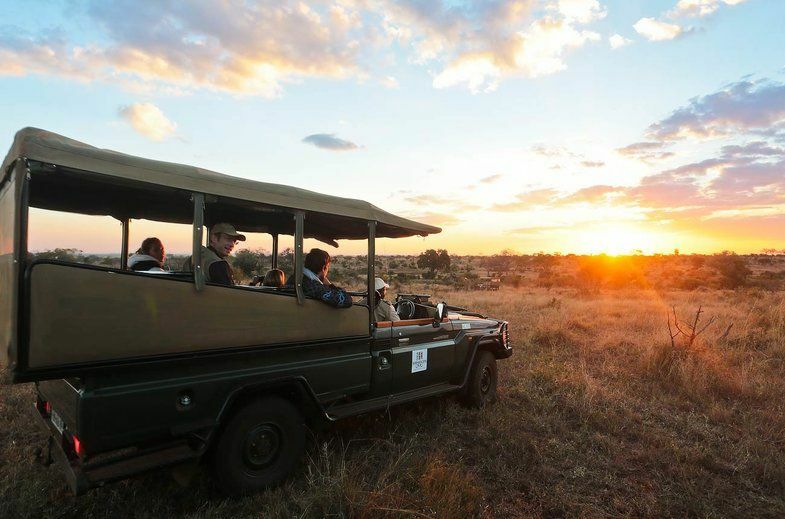 If you have ever experienced nature in its purest form while the South African sun sets on the horizon, you will know what a truly remarkable experience this is. Once we returned dinner was all set up and we were ready to dig in. After a hearty breakfast, we packed up and headed for Swaziland. Once through the border, we made our way to Hlane National Park. Activities on offer for visitors include going on or staying in a houseboat, guided walks, ziplining, mountain biking and the Umphakatsi Cultural Experience, where you can become familiar with the rural Swazi way of living. 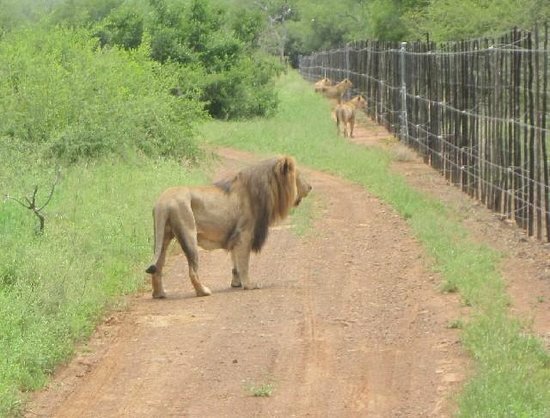 On this day we travelled to Mlilwane Wildlife Sanctuary. On our way there we visited Swazi Candles and stopped off in Matapa for some shopping before going through to Mlilwane. Our guide made bookings for us to experience a cultural village tour and traditional Swazi dancing. At the reserve, visitors can enjoy several activities such as mountain biking, horse riding, guided walks and self-guided walking trails, nature education, a splash in the swimming pool or the Esitjeni Village Walk. We left early morning to make our way back to the border, but not before stopping off at Ngwenya Glass for breakfast first. Here we had the opportunity to observe the guys at work as they created all kinds of products from recycled glass. This is the perfect place to get yourself a memento of your trip to Swaziland before crossing back into South Africa. From the border, we headed for Johannesburg. We stopped for lunch, which was at our own cost, and after filling up our guide dropped us off at our place of accommodation. There you have it! Now my dear friend and I can both tick off visiting the beautiful Kingdom of Eswatini off our bucket lists. If you would like to do a similar tour, contact us on bookings@ygo2.co.za or 061-902-5219. The establishment of A-Lounge originated from the desire to create a hotspot for A-listers. Yes, the kind of people you encounter in Hollywood, enjoying life in the limelight. These are sophisticated, elegant, trendy people who know what they like and want out of life. A-Lounge is just the place to have important business meetings, breakfast, lunch or dinner. We also have a stage for live entertainment, cash bar facilities and after 10 pm the dance floor is open. All these create the look and feel of a very exclusive nightclub. 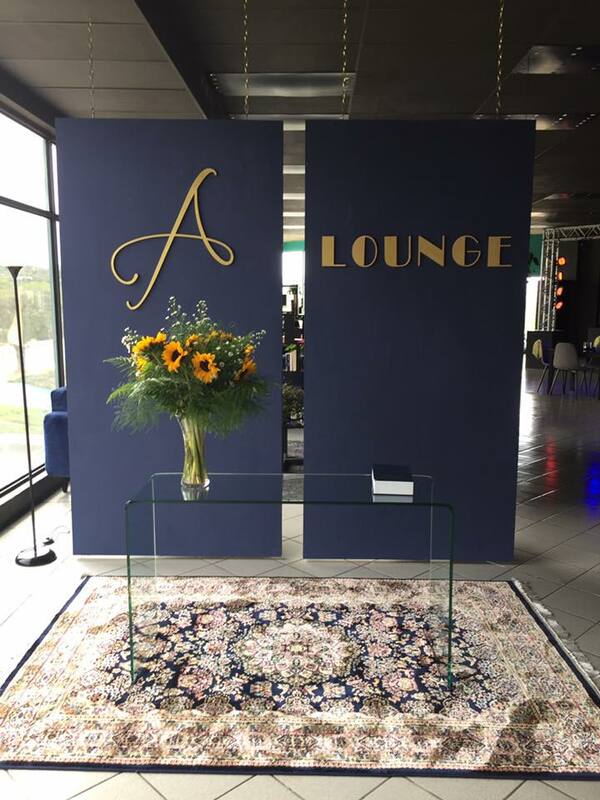 A-Lounge was the brainchild of four very different individuals – Jacques Lombard, director of Mrs Mpumalanga and Timeless Productions; Claud Kruger, artistic and successful space planner who has a love of creating gourmet dishes; Hugo Morgado, a project manager in Mozambique and his beautiful wife Nayana, proud owner of Pop Epoch party shop. They all share one amazing vision for one of the fastest growing cities in South Africa. 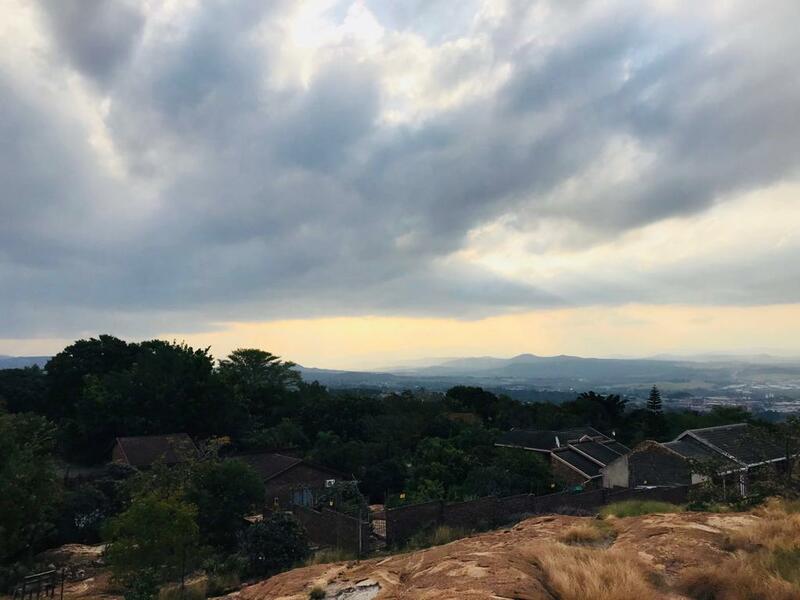 Mbombela, previously known as Nelspruit, is developing rapidly and with this, our community has developed a taste for the finer things in life. As most of our customers are business people who are always on the go, they have a need to wind down in a relaxed environment. Claud had a very clear vision for the decor and colour. Blue represents both the sky and the sea and is associated with open spaces, freedom, intuition, imagination, expansiveness, inspiration and sensitivity. It also symbolizes depth, trust, loyalty, sincerity, wisdom, confidence, stability, faith and intelligence. The colour gold is a cousin to the colours yellow and brown, and also represents illumination, love, compassion, courage, passion, magic and wisdom. Gold is a precious metal that is associated with wealth, grandeur and prosperity, as well as glitz and glamour. It was also decided to give the establishment a bit of a Gatsby twist as can be seen on the famous A-Lounge hand-stencilled wall… A true masterpiece indeed. Our food is counted among the best in town and this is thanks to the seasoned chefs and food fundis who are skilled in putting a menu together for functions or events. Claud’s specialities are sliders, tapas and even gourmet samosas. While he and Nayana make sure everything runs smoothly in the kitchen, Jacques and Hugo ensure that everyone is happy on the floor. Hugo assists with the bar facilities and Jacques specializes in production and entertainment. Together they work like a well-oiled machine to offer a world-class experience to customers. A-Lounge has many cards up its sleeve for 2019, from exclusive fashion shows to opening a wine boutique and even an art gallery. So put on your finest attire and be spotted wining and dining or dancing the night away among the city’s elite. A-Lounge is the place you want to be seen at. Since the day I met my Portuguese husband Carlo Neto, he promised me that we will travel to Madeira Island, also known as “the Pearl of the Atlantic” to this island his parents and family originated from. Our adventure began during the July holidays of 2014 when our 2 daughters were old enough to enjoy and appreciate this amazing trip that we were about to experience. All we had to worry about were booking our flights and packing our bags before we could set off to chase the sun to this breathtaking paradise and as a bonus escape the winter here in South Africa. Carlo’s uncle Fritz Helena and his wife aunty Sue Helena were waiting for our arrival at Madeira’s own International Airport. We were so lucky to have these two special people as our very own personal tour guides during our entire stay. They live nearby Ponta do Sol in a simply enchanting town called Calheta, Calheta is blessed with rare natural beauty and 8 parishes. Calheta was, in fact, the first town in Madeira to import sand from Morocco. Calheta Village has an artificial yellow sand beach that opened in 2004. 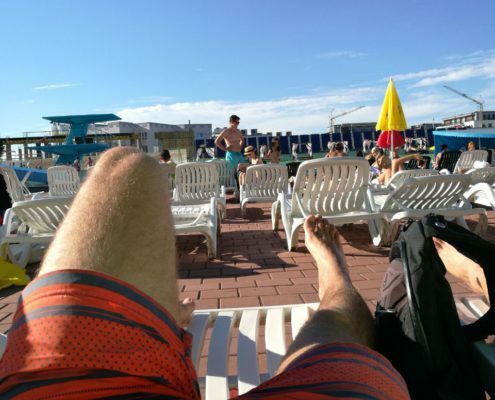 We thoroughly enjoyed the days we had on Calheta beach and all it had to offer. The Ponta do Sol beach is hidden away in a small cove in the village of Ponta do Sol, between the slopes of the valley. One just can’t help but fall in love with this little gem, with its beautiful sunsets and excellent pebble beach. We’ve spent many afternoons with our daughters sunbathing, swimming, relaxing and playing on this beautiful beach. 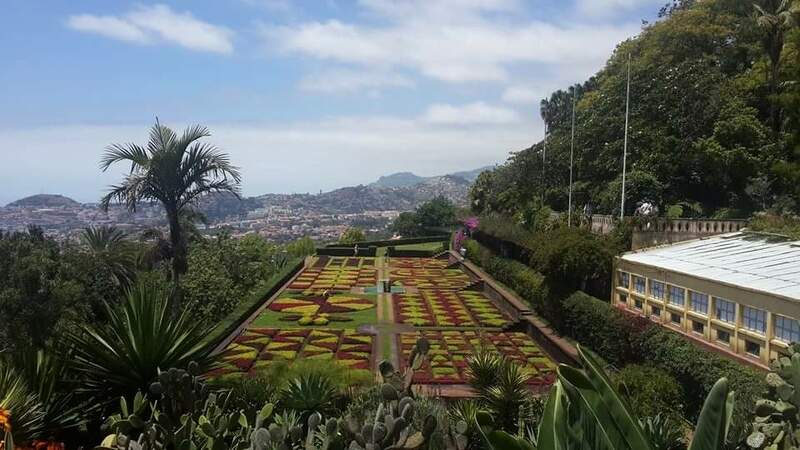 Madeira is a Portuguese archipelago situated in the north Atlantic Ocean, south-west of Portugal and the main agriculture here is sugar cane, banana and wine production. Historically the sugar cane was worked by slaves owned by a Flemish lord João Esmeraldo, a close friend of Christopher Columbus. 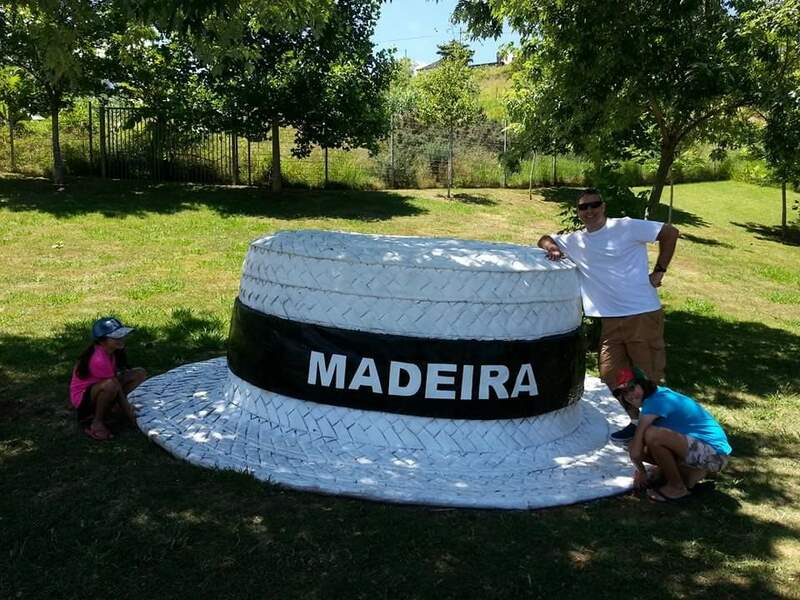 There are many religious nature traditions, strongly rooted in the Madeira culture, but also traditions linked to crafts, music, and even the evolution of the island’s economy. We were very blessed to visit a couple of these churches and busy, noisy, colourful covered markets stocked with fresh fish, tropical fruits, spices, beautiful flowers and local crafts. 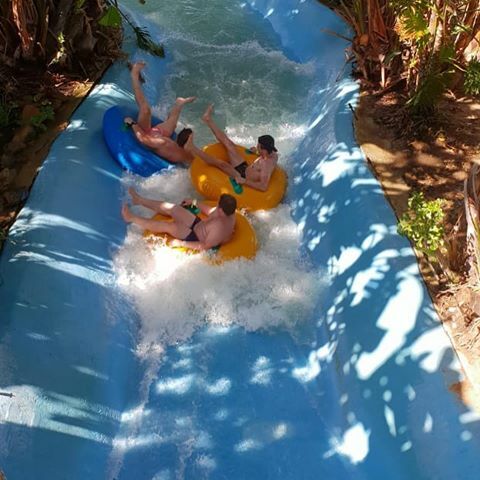 It boasts 5 toboggan slides of varying heights and speeds and a fast and slow river. 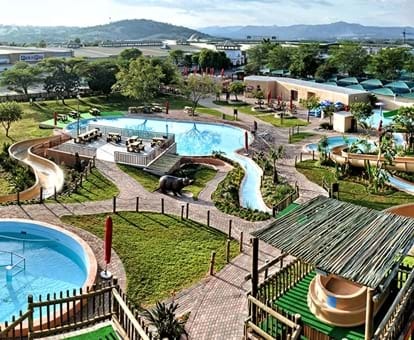 There are 2 leisure pools too as well as play parks for the younger guests. We also treasured our visit to Machico town and Machico beach, this historic, peaceful town was the landing point of the discoverers and offers a number of good quality guesthouses and restaurants. Uncle Fritz took us to many little towns and beaches, but the Porto Moniz Natural swimming pools are the highlight of my stay. These natural salt water swimming pools are made up of volcanic rock, into which the sea flows naturally, we also visited the aquarium. Another must see when visiting Madeira is the Traditional Santana houses close to the Santana Municipal Council. This is a preservation area, expanded by the municipality of Santana, in memory of local heritage. Other memorable places we visited on the Island were the Ponta do Pargo Light House Viewpoint, the Marina of Funchal, CR7 Museum which tells the story of the Portuguese footballer Cristiano Ronaldo and houses all of his individual and team trophies won. Our daughter Carla was totally smitten. Our youngest daughter Simoné was very excited about our visits to the botanical gardens and all our different rides in the cable cars. Don’t let me even start talking about the gardens and flora, it is simply magnificent……. I really loved our visit to Ponta do Garajau where you’ll find the statue of Cristo Rei de Garajau, carved by Georges Serraz in 1927 and you’ll have the opportunity to enjoy the amazing view over the ocean. I was brave enough to walk all the way down the path… It felt like I was entering the sea what a wonderful feeling. 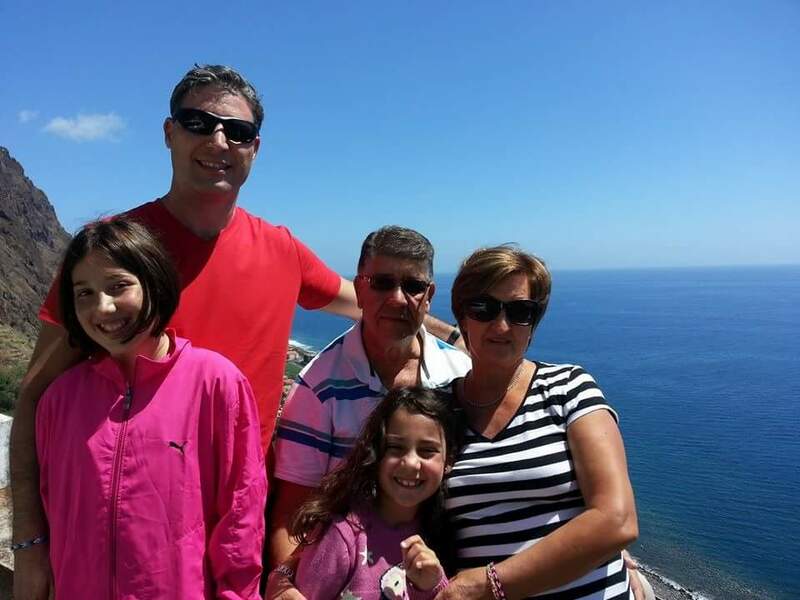 We also enjoyed every minute of our time spend in Funchal, the biggest city in Madeira. It is modern but at the same time kept an authentic historic centre that will amaze you. We went on an unforgettable Yellow Bus trip around Funchal, very similar to the Red Bus trips in Cape Town…. We had so much fun at the Madeira Theme Park. 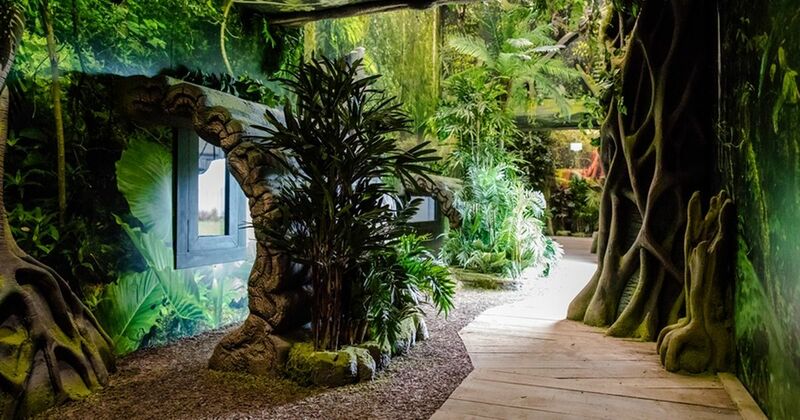 The Park’s main attractions are the 4 multimedia pavilions; “ Discovery of the islands”, “Future of the Earth”, Fantastic Voyage in Madeira” and “A World of Islands”. A replica of the Monte train, traditional ox carts and nets, a traditional Santana house, a windmill, a maze and even a lake are some of the Park’s attractions. 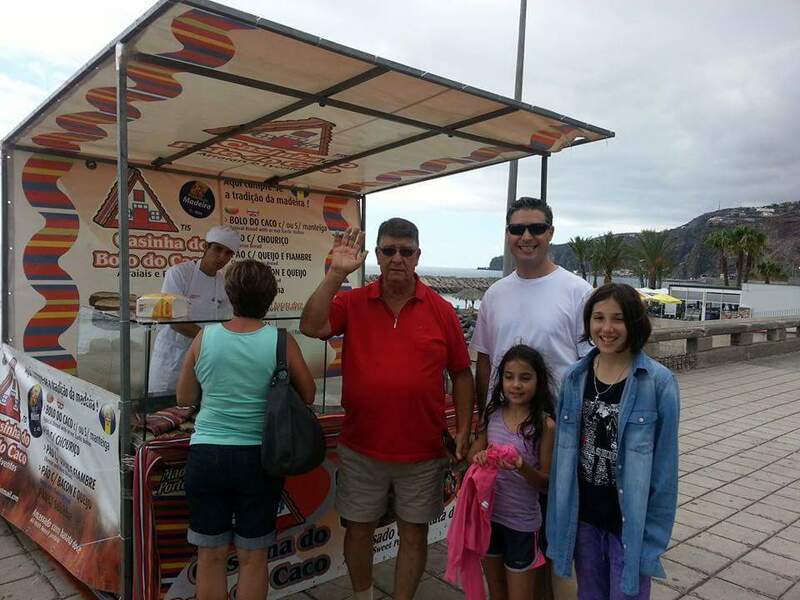 Uncle Fritz took us to the Cabo Girão Skywalk too. 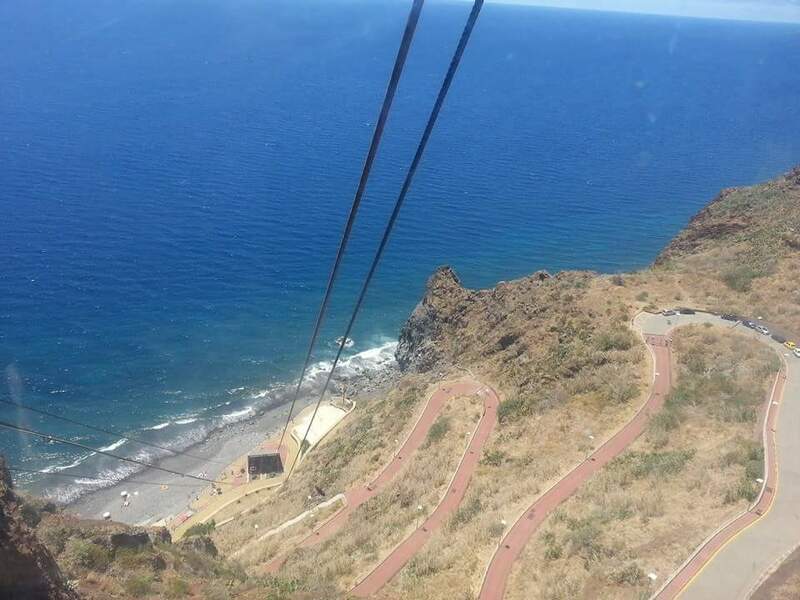 At 589 meters, the Cabo Girão Skywalk is the highest cliff skywalk in Europe and 2nd highest in the world. As I was looking all the way down from the glass deck to the ocean my legs went absolutely numb… what a thrilling experience. 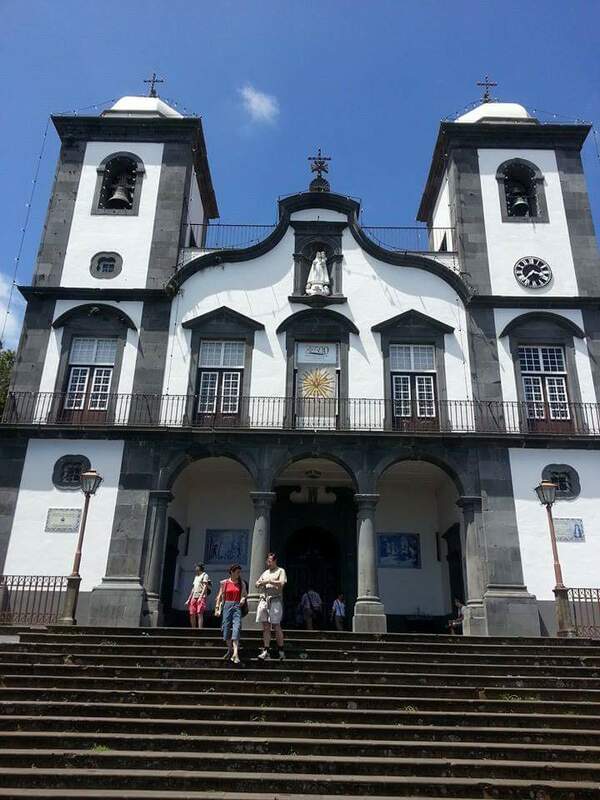 Another very special memory is our visit from Funchal by cable car to the Church of Our Lady of the Monte in Funchal. We climbed to the bell tower terrace and oh my word we experienced the most spectacular view of Funchal. 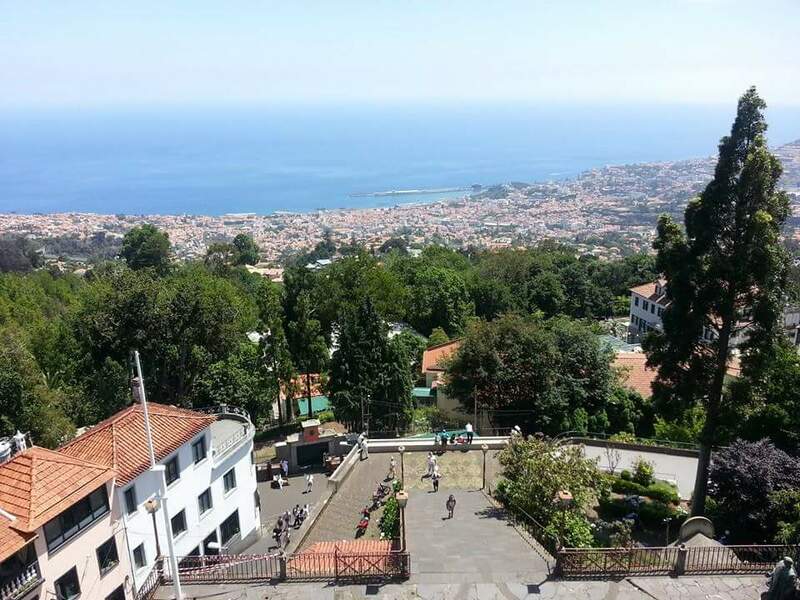 Monte Village was built in 1565 as a summer refuge for Funchal’s aristocracy. 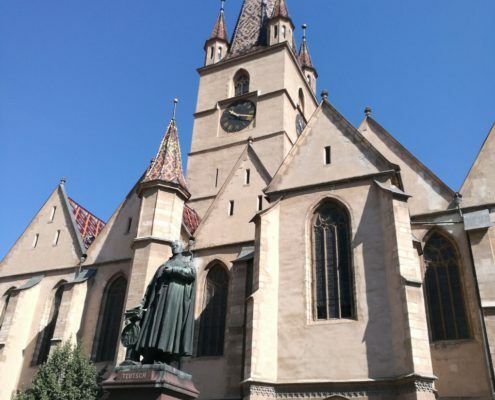 Constructed in 1741, the Church of Our Lady of the Monte is the resting place of Charles 1, the last ruler of the Austro-Hungarian Empire. We had an absolute blast and we just couldn’t get enough of this astonishing Island with its warm friendly people, it’s breath-taking nature, it’s incredible history and it’s wonderful opportunities to go for walks and find so much to see and do. Should you seek a place to stay, away from the hustle and bustle, then Hotel Jardim Atlântico (Jardim Atlantico) is just the place to be. This exquisite Hotel promise for a very memorable stay. Here we had the pleasure of meeting a very stunning lady working at the Hotel, named Rita Santos, we learned that she also stayed in South Africa many years ago…….Although she loved South Africa she loves Madeira more! 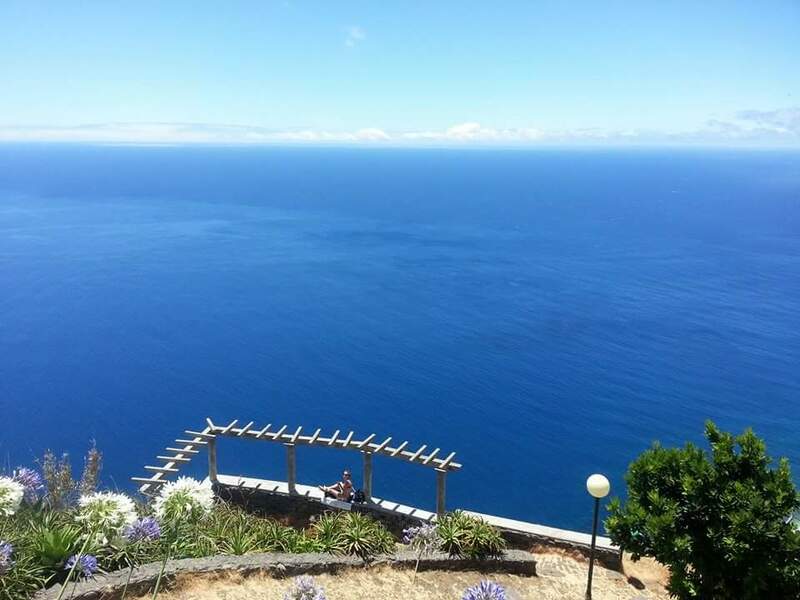 Maybe one day if I am fortunate enough I could go and retire in Madeira this magnificent Island that I love to call paradise… But first I want to travel and see the world! 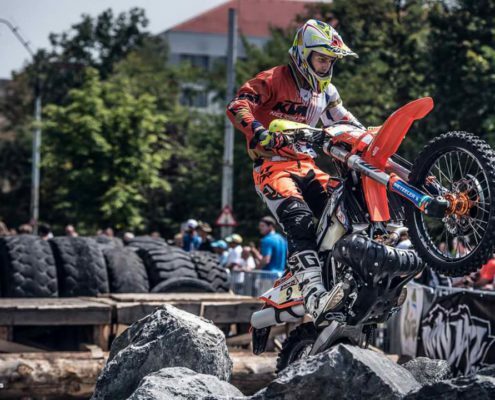 For extreme enduro racer, Barend Erasmus, taking part in the Redbull Romaniacs race in Sibiu, Romania is part of the enjoyment. Visiting this exotic, mountainous country also leaves a great impression in scenery. Why did you go to Romania? 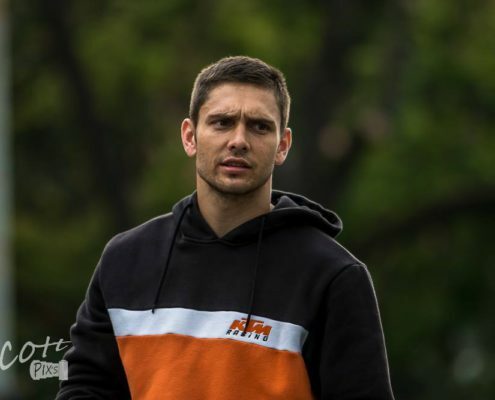 Sometimes I ask myself, why participate in the Redbull Romaniacs hard enduro? At that moment, I ask myself questions like: “What am I doing?”… “Am I crazy? ” I cannot begin to explain the feeling of fulfilment and pride when completing an Extreme Enduro race like Romaniacs. It is a tremendously rewarding feeling. After finishing in the top 20 in the 2016 Romaniacs, I thought never to do it again. Yet a week after I got home, I started planning to enter the 2017 race. Although this year’s race was utterly extreme and taxing, the same thing happened again. 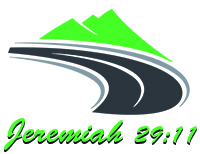 I am already looking forward to going to the 2018 race. The more I do this the better I get at riding extreme environments in this type of races. 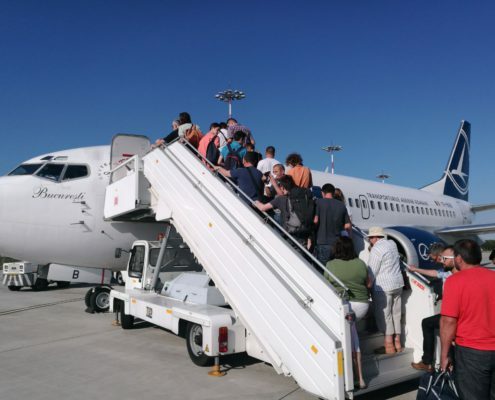 The Sibiu International Airport is reasonably small, surprisingly modern and very sufficient. Although the staff is friendly and accommodating, they are very strict on security. They want to know everything about you and what you are doing there They check your passport picture ten times to make sure that it is really you on the picture. What was your first impression of Romania? When you step out of the airport a whole new world opens up! the drivers can hardly speak any English. Romania is a very poor country but certainly, a country where you can relax. The locals are very friendly and look relaxed as they take each day as it comes. They obviously dress differently from us and I find their shoes very fascinating. 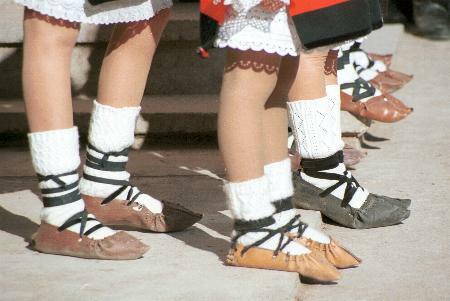 Their sneakers have very high soles, more than double of what I am used to in South Africa and the ladies wears funny pointy flat leather shoes also not something that I am used to. I also find the unique culture with the historically significant landmarks and Medieval architecture very appealing as a tourist. What Tourist attractions are there in Romania? I only visited Sibiu and a few surrounding villages where everything looks if it was built hundreds of years ago. It feels like going back in time straight back to Medieval times, there is nothing modern around there. I didn’t get a lot of time to do sightseeing. I personally love the dramatic mountainous scenery, where the race takes place and the coastline on the Black Sea with its picturesque landscapes. What are the Hotels and Restaurants like in Romania? In Sibiu, they have beautiful hotels like the Ramada, Continental and the Ibis, where a night’s stay will cost around 70€ to 100€ per person and it include breakfast. Generally, the rooms are spacious with comfortable beds and air-conditioning. The big showers are roomy enough for two. where The New Yorker and Benjamin Steakhouse. These establishments are a little more expensive. then the others but the meals are worth every cent. Tell me about your flight to Romania? According to me the easiest way to get to Sibiu in Romania from South Africa is direct to Munich in Germany and from Munich to Sibiu. 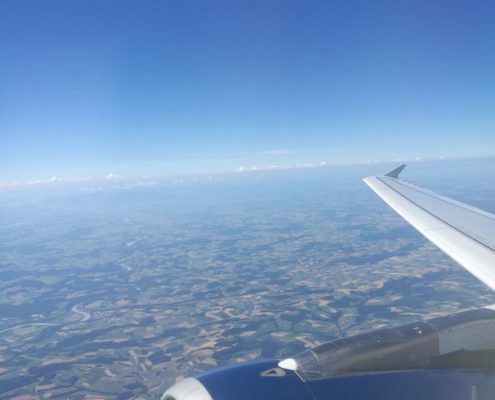 Total travelling time, including 1:45-hour wait for the connecting flight to from Munich to Sibiu, was 11:45 hours. I paid R20 000 for this return flight. Make sure you eat and drink enough during the flight as the restaurants at the airport are extremely expensive. I paid the equivalent of R150.00 for a Croissant and a bottle of water! Does South Africans need a visa to travel to Romania? What about Romania will you always remember? What humbled me is the people’s acceptance of their meagre lives. They seem satisfied with very little and despite their simple life, they always smile. Once again I realized how fortunate I was. Would you recommend Romania as a holiday destination? Yes, I would absolutely recommend Romania to anyone who enjoys travelling and exploring new places. Experiencing the Romanian culture, the mountainous scenery, great architecture and the local’s passion for life makes Romania well worth visiting. If ever I get the opportunity to explore more of Romania, I would gladly do so! Tell me about Bleed for Isak? 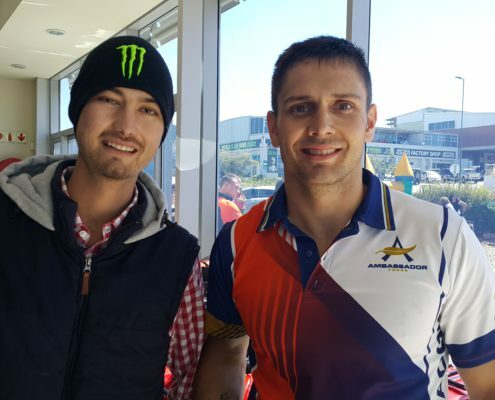 Isak Du Toit is a 24-year young man from Nelspruit. Three years ago, he was just like me. He loved riding his bike enjoyed going out with friends, he lived life to its fullest! Unexpectedly everything changed. First, in 2014, he lost his one eye in an accident at work. In 2015, he got seriously ill and he had a heart transplant at the age of 22. As if that wasn’t enough he was diagnosed with cancer about a month ago! I choose 28 October for this event because on 28 October 2015 Isak received his new heart, and I feel we should celebrate his life. 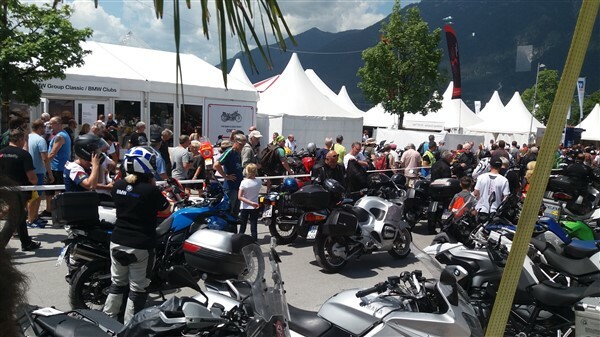 A must do pilgrimage for every BMW motorcycle enthusiast is to the gathering at Garmish Patenkirchen, a ski village on the border between Germany and Austria, a weekend of motorcycling overload that attracts about 4500 riders on the first weekend in July annually. 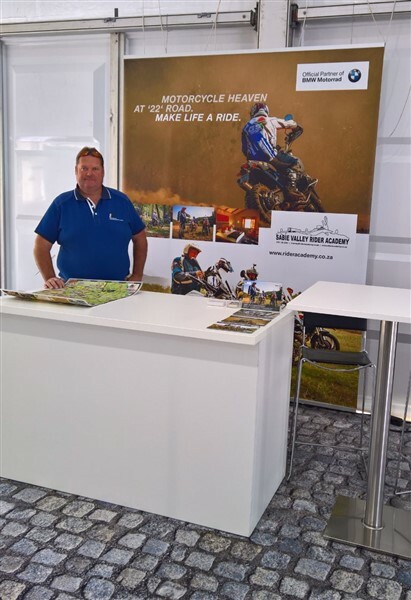 Thomas Böhm the operations instructor from Sabie Valley Rider Academy situated between Sabie and Hazyview was invited to promote the training facility at the event in a massive tent that was filled with BMW Motorrad Partners from all over the world. Enduro rides, the wall of death displays and displays by stunt rider Mattie Griffin and Sarah Leito. 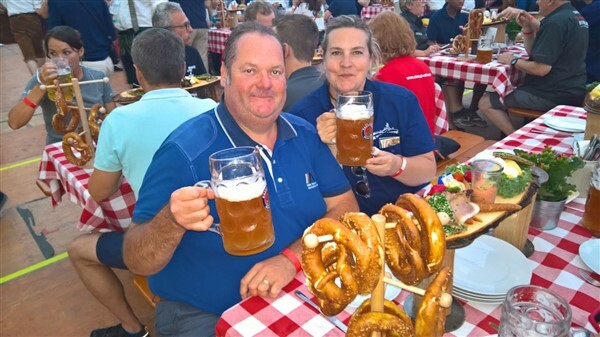 Also, don’t forget the beer and German food available from multiple beer tents and gardens. 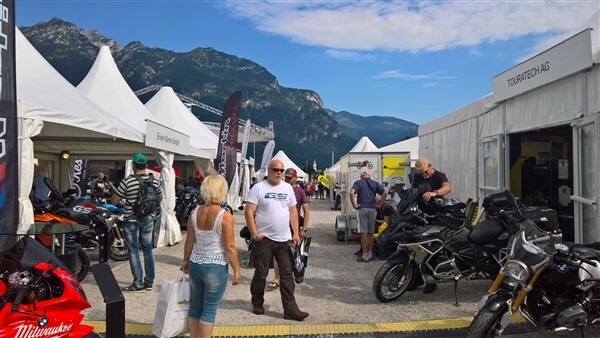 The event is filled with BMW motorcycles from all eras with a big emphasis on older bikes and the custom scene, with multiple companies specializing in custom and retro bikes displaying their latest creations, doing a good trade in custom parts. 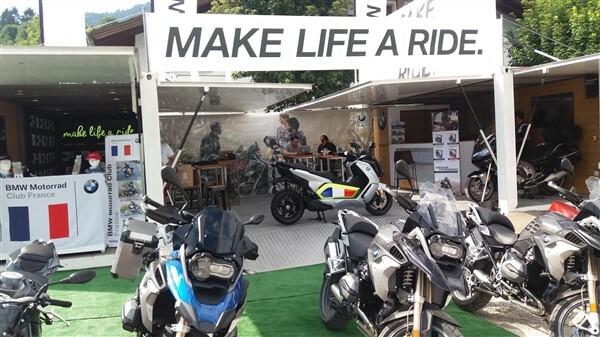 BMW Motorrad has a huge display tent of all the latest models, rider gear and accessories available with a knowledgeable crew on hand to share their enthusiasm and information on the life style products, with the slogan “Make Life a Ride”. with big name bands rocking the crowds in multiple venues at the show until the early morning hours. 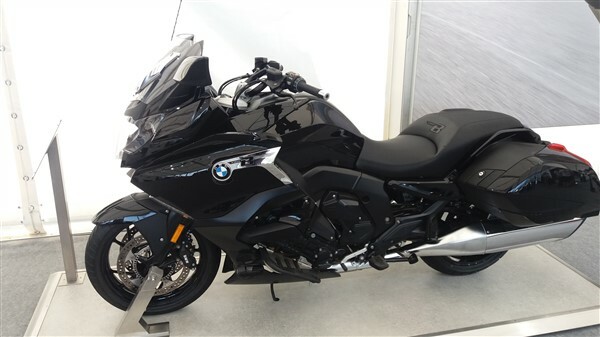 Most South Africans will combine this must do pilgrimage with a riding holiday in the Alps incorporating famous mountain passes like Stelvio Pass, Gross Glockner and the amazing riding in the Garda Lake area in northern Italy.